Static IPs and Dynamic IPs - Advantages and Disadvantages - Something New Everyday! 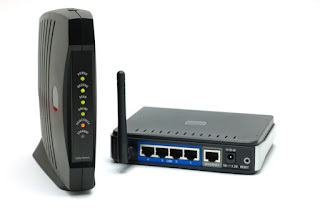 In home networks, IP addresses aren't usually fixed, but they do fall within specific ranges. Your router will assign a new IP address automatically if another computer joins the network, or if your configuration changes. For the most part, this works out just fine – you shouldn't notice a difference to your Internet performance or application functionality if your IP changes. A static IP address however, is one that doesn't change. Your computer decides upon the address it wants, and it tells the router. Why would you want to set up something like this though, and what are the advantages and disadvantages of doing so? Is there a better solution? When we talk about IP addresses of home computers, we are usually referring to two types of address. One is your external IP address – the one that the world sees as your Internet connection. Then you have your private IP addresses internally on your home network. Even if you only have one computer on your home network, it will have a private IP given to it by the router. Private IP addresses cannot be routed over the Internet and are strictly for private use. There are a few possible ranges of private IP address, but for most home users this will be 192.168.*. * (where * can be anything). Your router interface, for instance, is likely accessible through 192.168.0.1 – this is a private address. Your home computers might then be anything from 192.168.0.2 to 192.168.0.254. Most routers will just assign internal addresses on a first come first served basis. The first computer you plug into the router will send out a network request saying "I need an IP address, my hardware address is x.x.x.x.x.x" and will be assigned 192.168.0.2, then the next will get 192.168.0.3. Your external IP address is not something you can change – it will be given to you automatically by your Internet provider. You can purchase a static external IP address, but they are incredibly expensive. If you do need to access your home network from a remote location, consider getting a dynamic address that will update itself when your IP changes. For a home network though, you are free to assign static, non-changing IP addresses to whatever computers you want, so let's a take a look at when you would do this. Why Would I Need A Static Private IP Address & What Are The Advantages? In order to set up a web server on your home network that is accessible by anyone in the world, you need to forward incoming requests on port 80 to your web server machine. If the web server was to restart and get a new IP from the router, the special rule that you created to forward requests on port 80 to the old server IP address wouldn't work anymore, and your server would break. A few weeks ago I showed you how to manage your torrent client from a remote computer or mobile phone, but it involved forwarding requests on port 9091 to the machine running the torrent client. We found out the address of the machine and created a rule based on that, but again, if the address was to change, the remote management wouldn't work. For some older routers and gaming setups, you needed to forward certain ports to your xBox or PC to play online multiplayer games. More recent routers include an automated setup procedure called uPNP which eliminates the need to set up rules by hand. Static IPs need to be configured manually, and often you will need to make a few changes to your router configuration too. In this respect, they are said to have an "administration overhead", because you need to keep track of the settings yourself. For home networks, this usually isn't an issue with only a few machines to worry about – but for corporations and companies this is quite a problem. Without correct router configuration, you are also likely to see more IP address conflict errors. For example, if you set one of your machines to the IP address 192.168.0.10, and your router continues to hand out IP automatically, then at some point, another machine will be given the same IP! Basically, static IPs can be quite problematic. Instead of having to manually configure the settings on every PC we want to give a static IP address to, we will simply "reserve" the address we want to give them in the router's automatic IP address system. By doing this, we ensure our machines have an IP address that will never change, without actually assigning a "static" IP address as such, which would complicate things. To do this, open up your router configuration page and look for a section on DHCP or LAN IP. Look at the section labelled Static Leases or Reserved Lease Info. There are two or more fields that need to be filled in. First is the hardware address (6 pairs of alphanumeric characters), which is unique to every network device in the world, and second is the IP you wish to assign it. You should be able to see your hardware address in the list of current "leases" (a lease refers to the address that the router has automatically lent to your device) next the IP it is currently assigned. If not, type IPCONFIG /ALL (from Windows command prompt) or IFCONFIG (from an OS X Terminal) and look for either the Ethernet or Physical Address. In this case, I want the device with the hardware address E0:CB:4E:A5:7C:9D, currently with IP 192.168.0.10, to stay that way forever. Enter this information to create a new reserved address. You can also change the IP address from here if you'd like the reserved one to be different to what it is currently, but you will need to restart the device in order to get the new address. You are basically "tying" a particular local IP address to a particular piece of hardware. That's it – now your address won't change after a restart and you can keep your special routing rules the same. Confused? Problems? Feel free to ask in the comments, and I will endeavor to answer as best as I can – but remember that every router model is slightly different.